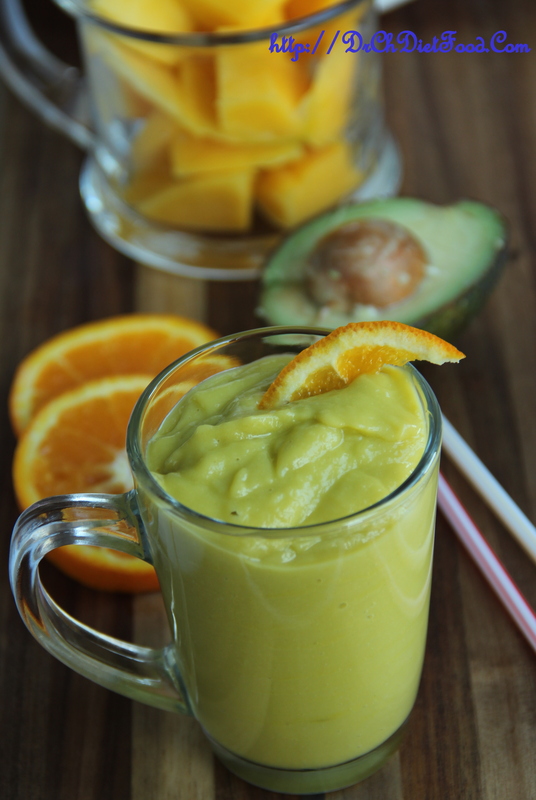 This creamy spicy mango, avocado and orange smoothie is simple to make and can easily substitute a light meal or a filling snack. This green smoothie is delicious, nutritious, energy boosting and good till the last drop. I love how naturally vibrant and pretty it is. The addition of avocado makes it creamy and velvety smooth and it’s balanced in sweetness with mango and orange.